I am going through a great book right now. 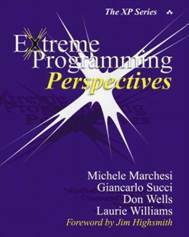 It's a collection of write ups on Extreme Programming from 2002. A lot of them are very practical and have some great ideas on how to do XP or to introduce it to a team. 10 guys and one keyboard and one screen! Insane! You've brought pair programming to an even more insane level! But that is not the real idea. Read the pdf for more details, but here is my short take on it. Randomly select a piece of code (class). Give them some time to refresh their memory on how the code works. Have the code "owner" present the code and explain what it does. 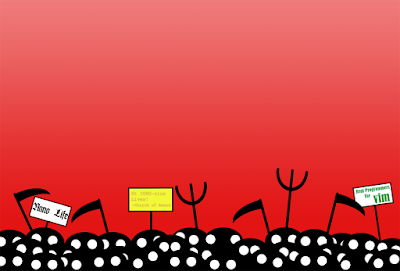 Bring the groups back together to present their refactored code. I think this type of "mob" programming meeting can really benefit a group with little or no XP experience, even groups with no test cases. To get a team from nothing to a group of testing, pairing, XP ninjas they need to learn the tools and be convinced of their benefits. I think this type of "mob" meeting allows both to occur. It even allows it to occur gently over time without needing to drink the kool-aid on the first day. But it's going to take some time. The first 2-4 meetings are just a warm up, your group is going to trip, fall, skin their knees and even complain. But if they stick to it, I think it will serve as a valuable tool to transform a development team and get them closer to XP. For those teams who are already pairing XP ninjas. I think this can be great for knowledge share, team building, and building team code ownership.